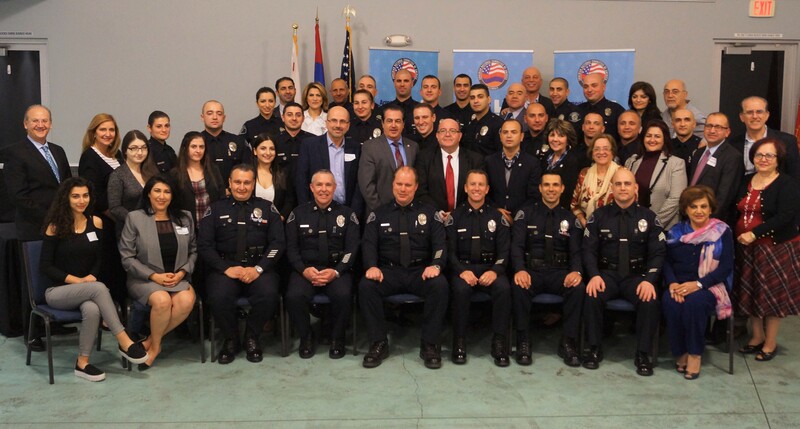 Glendale CA – On Wednesday evening, January 31st the Armenian National Committee of America – Glendale (ANCA Glendale) hosted an appreciation dinner in order to recognize the courageous service of the Armenian American men and women serving in the Glendale Police Department, who risk their lives to protect the City of Glendale, and it’s many diverse residents. 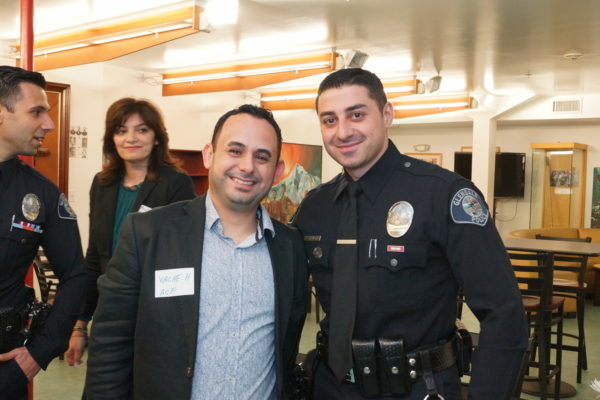 The event was held at the Glendale Youth Center. 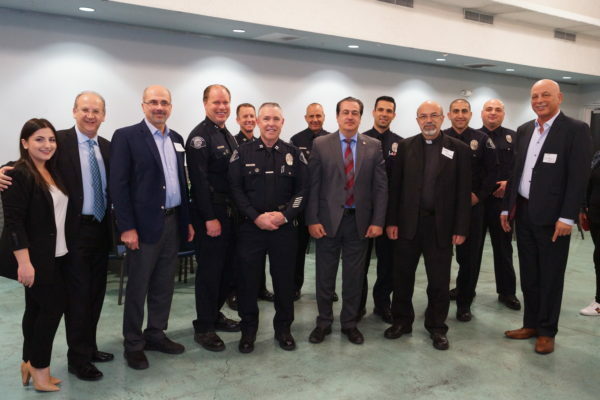 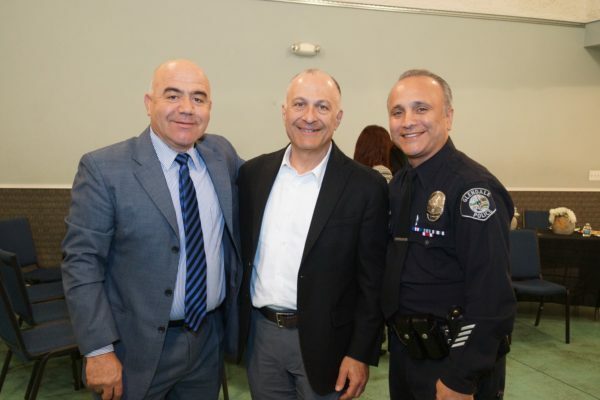 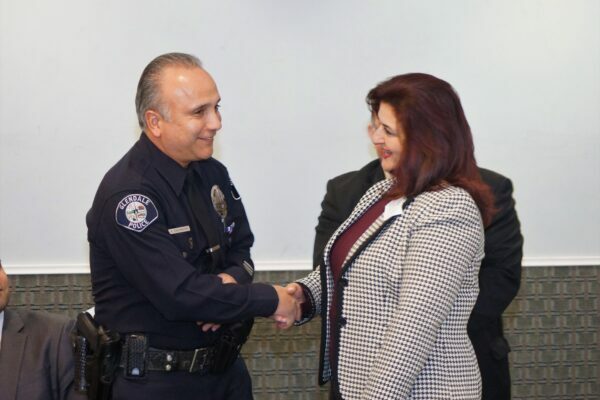 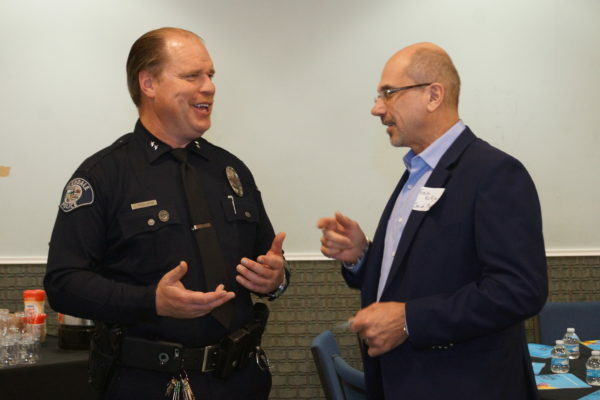 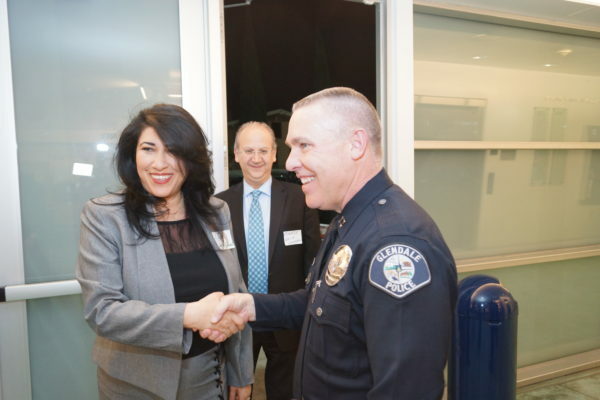 Notable attendees included Archpriest Komitas Torosian, Glendale City Mayor Vartan Gharpetian, Councilmembers Paula Devine and Zareh Sinanyan, Glendale City Clerk Ardy Kassakhian and City Treasurer Raffi Manoukian; Crescenta Valley Town Council President Harry Leon; Interim Glendale City Manager Yasmin Beers and Interim Chief of Police Carl Povilaitis; several commissioners, and representatives from local community based organizations, including St. Mary’s Armenian Apostolic Church, Armenian Cultural Foundation Glendale Chapter, Armenian Relief Society Glendale “Sepan” Chapter, Homenetmen Glendale “Ararat” Chapter, Armenian Bar Association and Armenian Youth Federation Glendale “Roupen” Chapter. 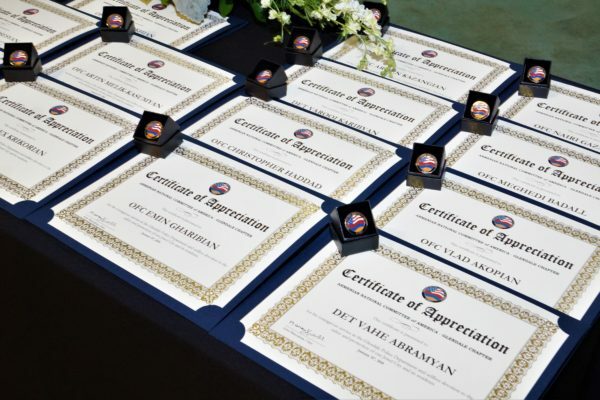 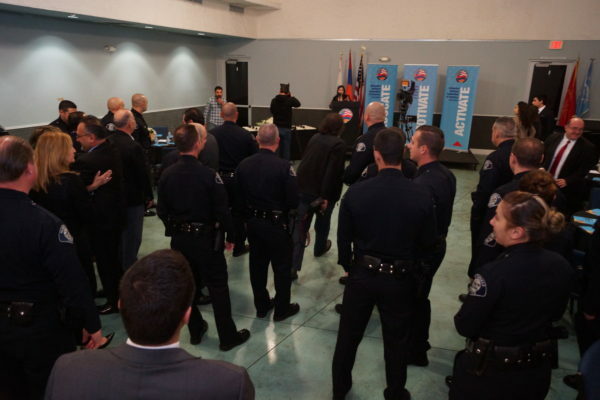 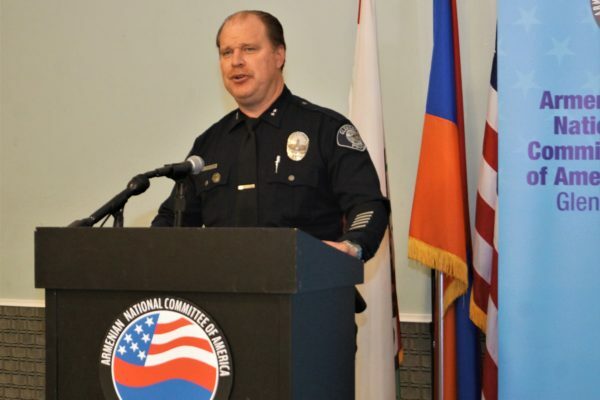 Certificates recognizing their courageous service and ANCA Glendale pins were individually presented to each Armenian American lieutenant, sergeant, detective and officer by the ANCA Glendale board members. 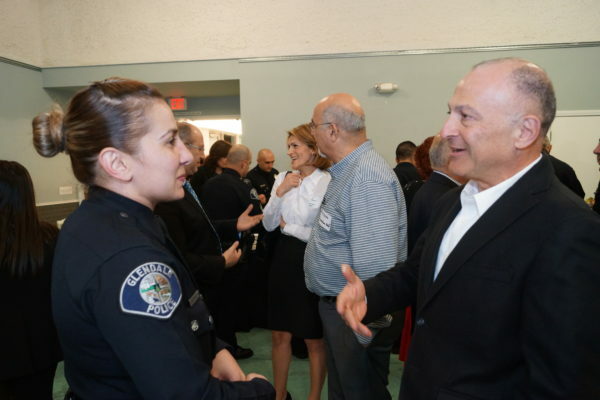 The evening provided an opportunity for community members to forge a closer relationship with each law enforcement official. 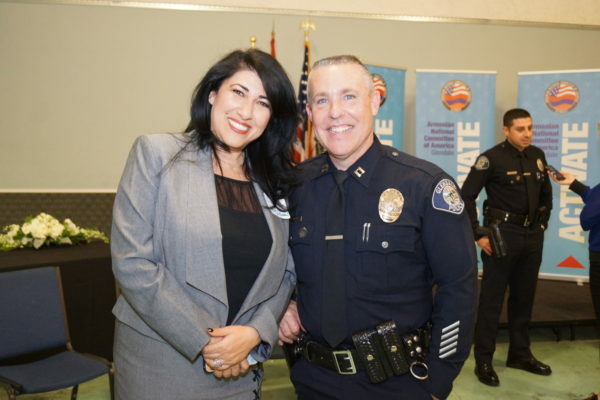 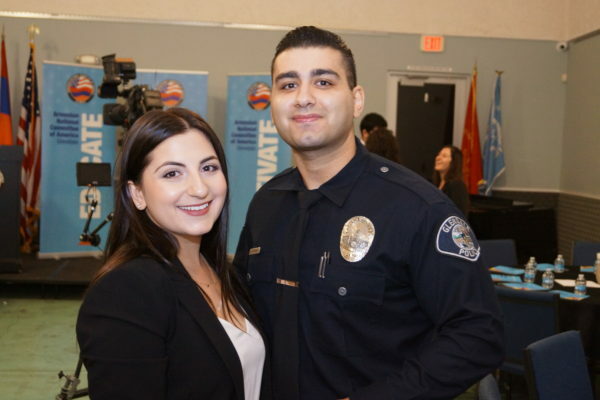 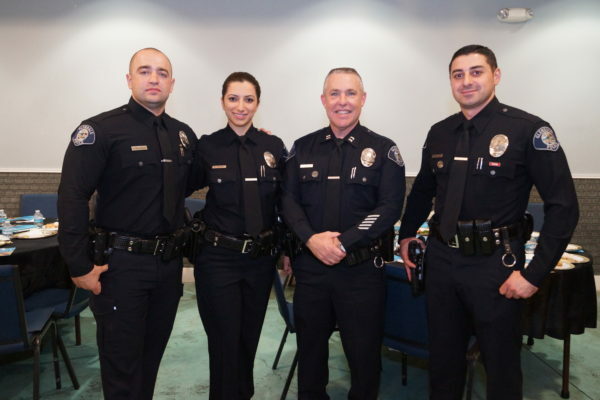 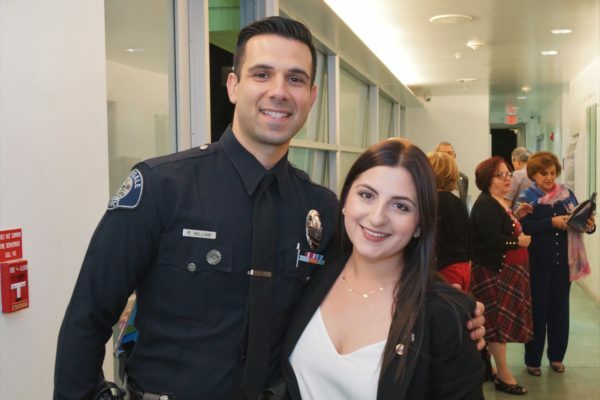 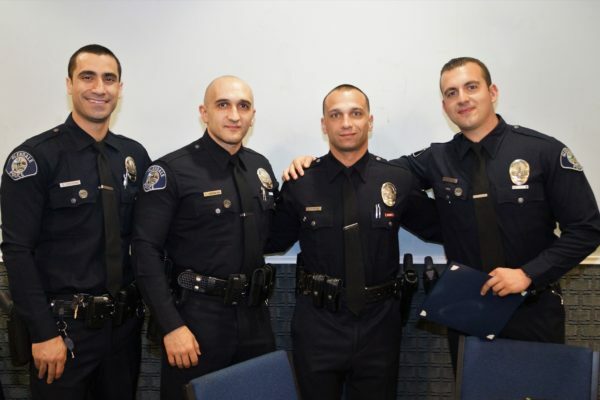 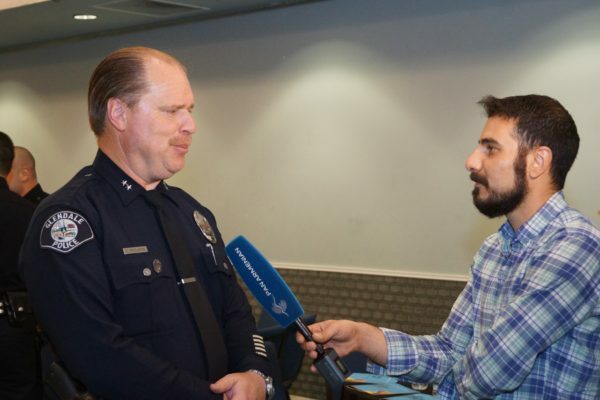 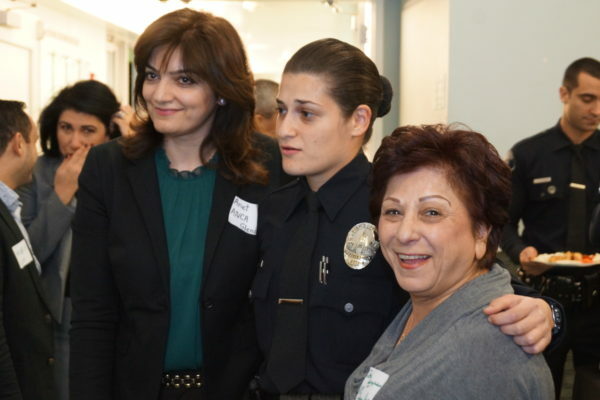 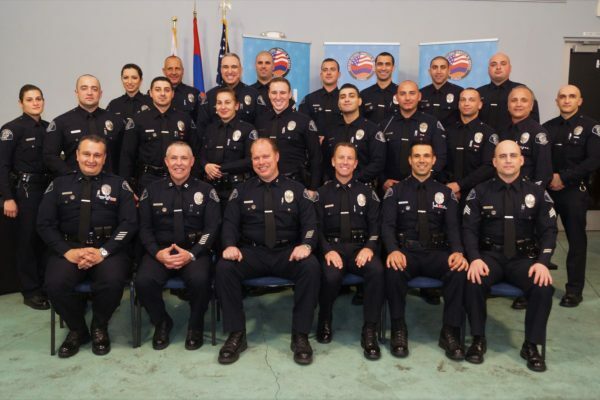 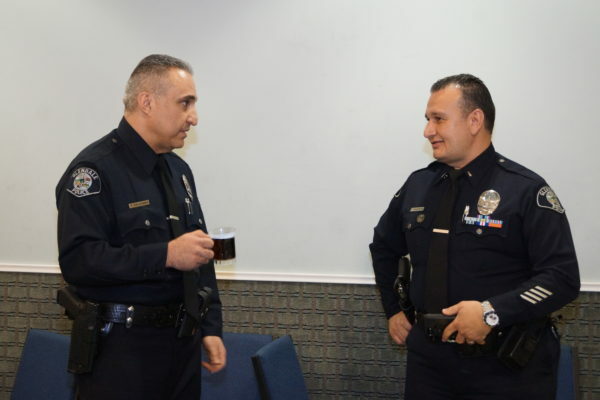 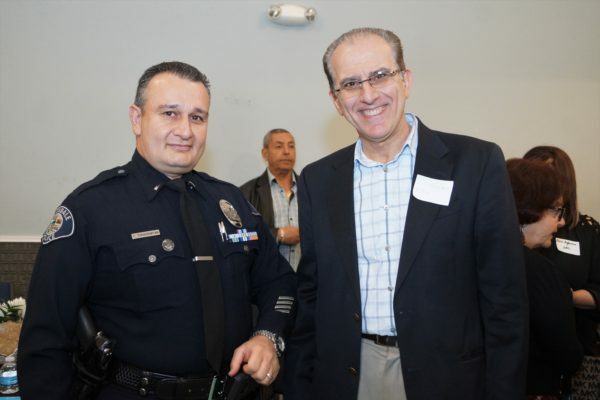 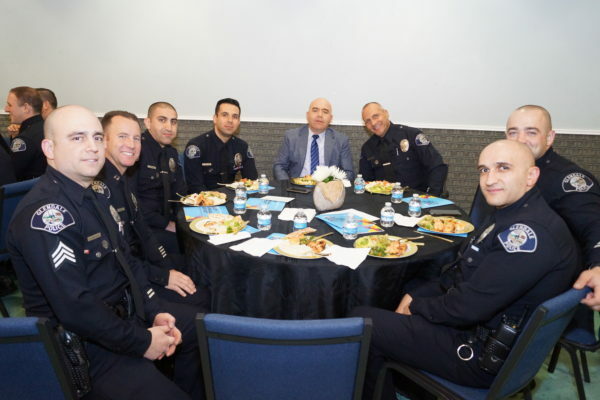 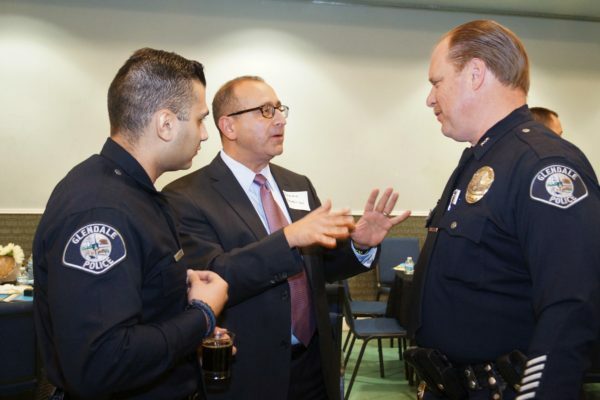 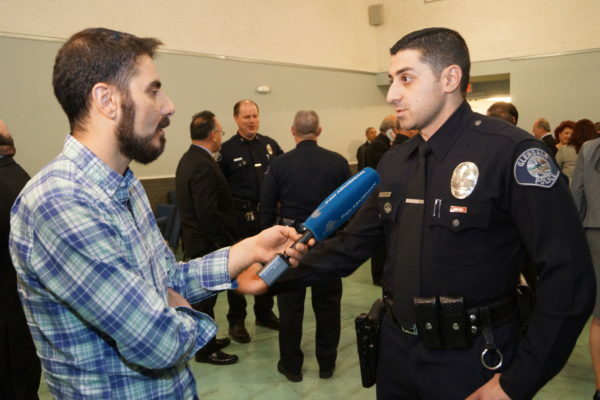 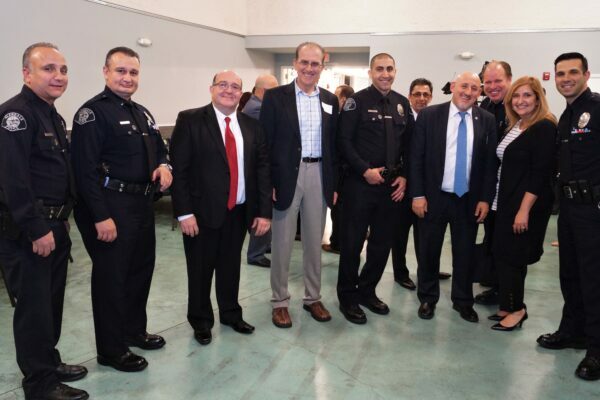 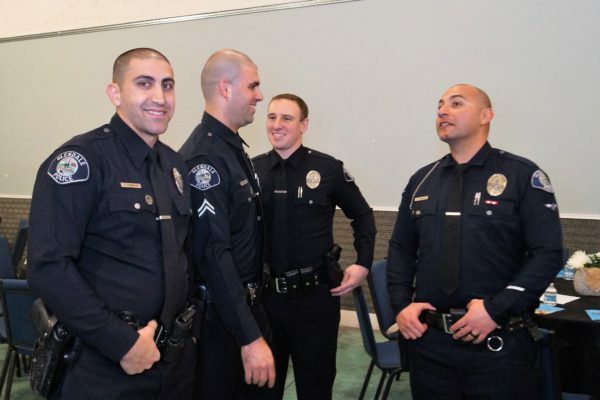 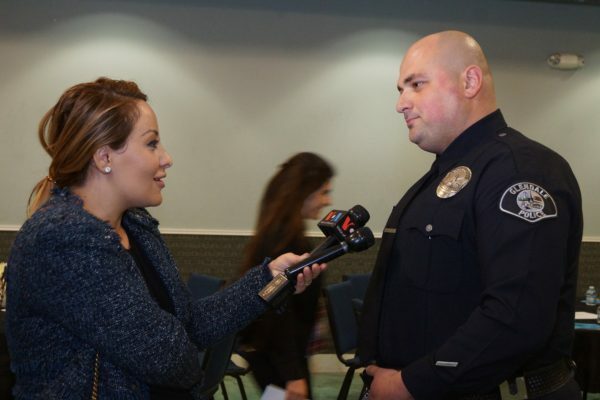 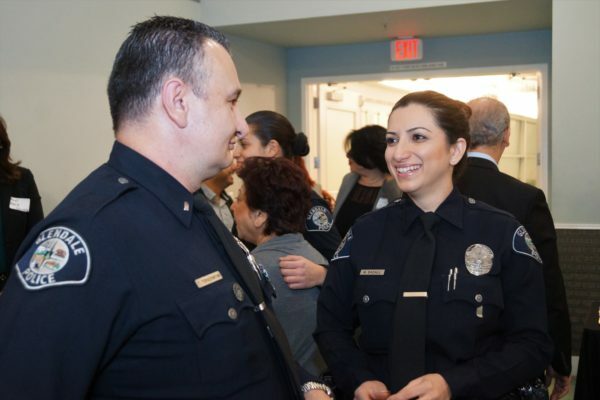 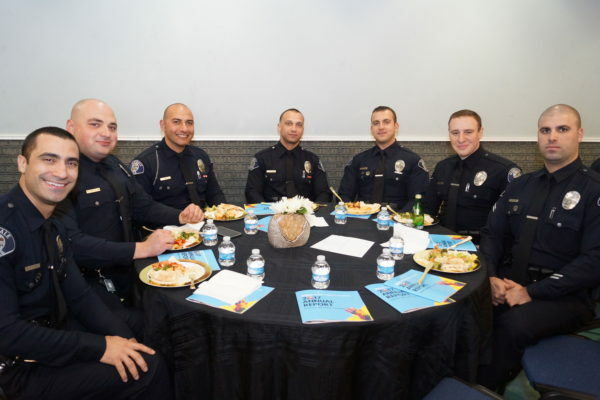 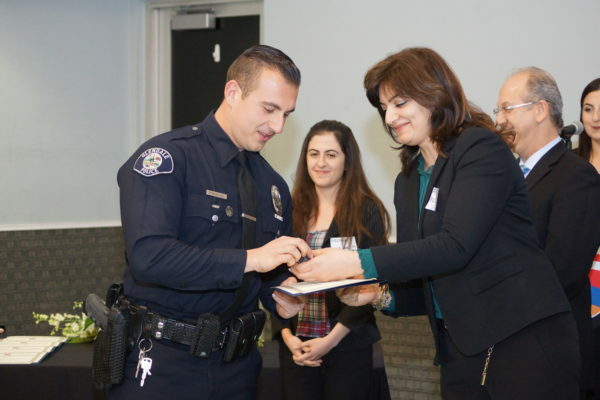 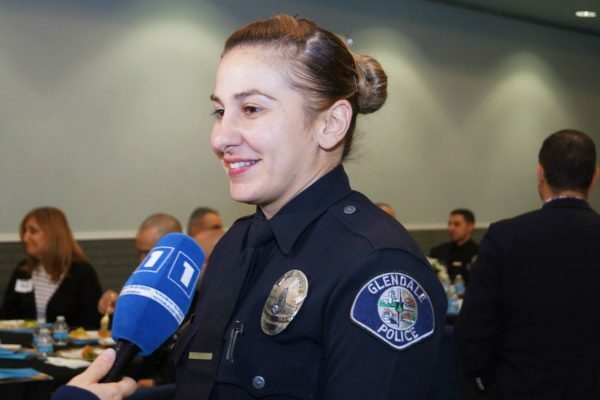 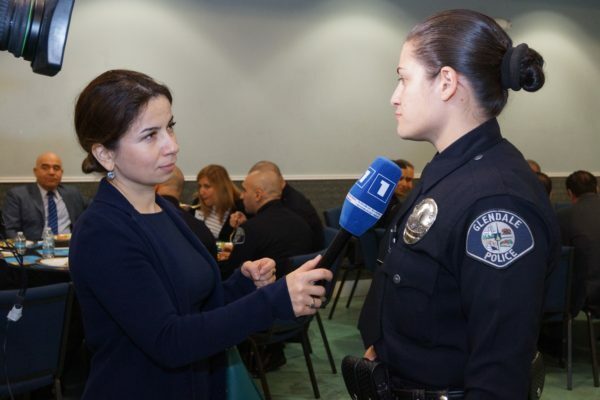 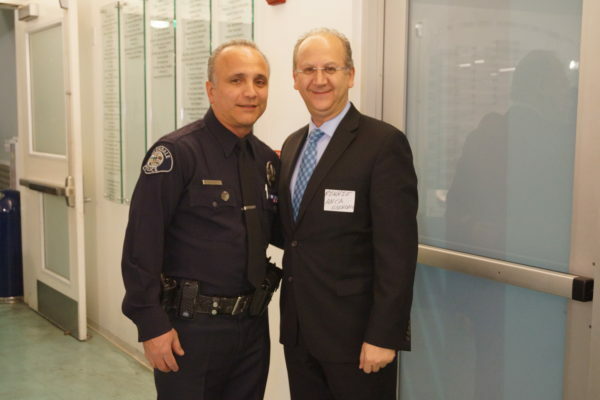 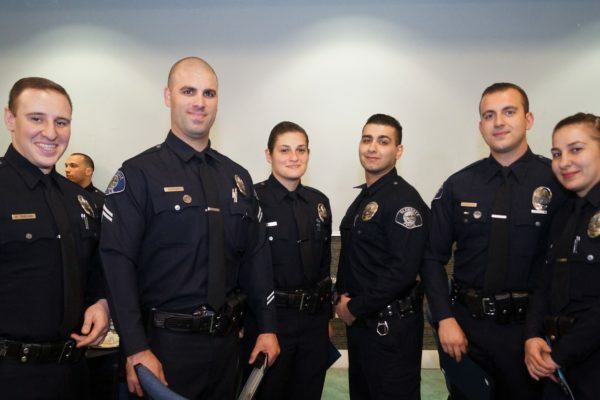 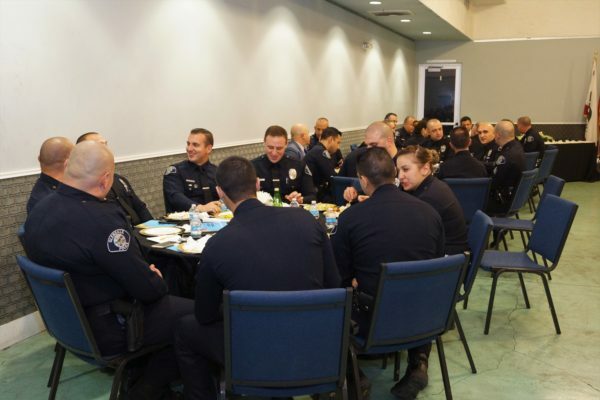 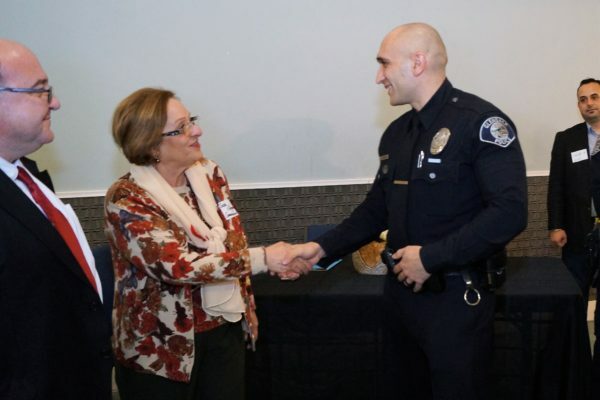 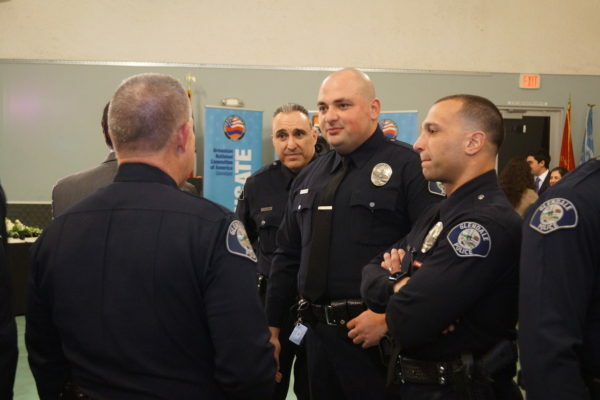 The ANCA Glendale board is grateful to have had the honor of meeting so many young men and women of Armenian descent who serve in the Glendale Police Department and looks forward to working with them in the future. 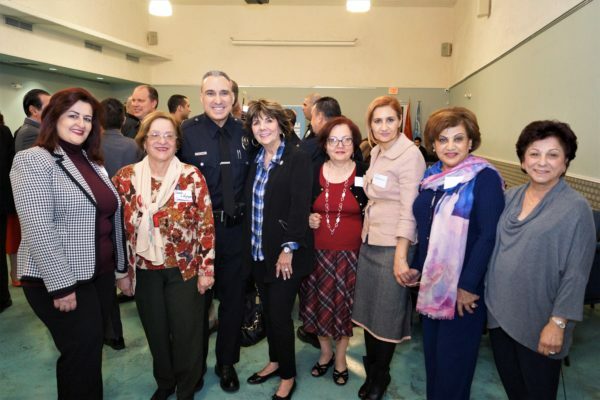 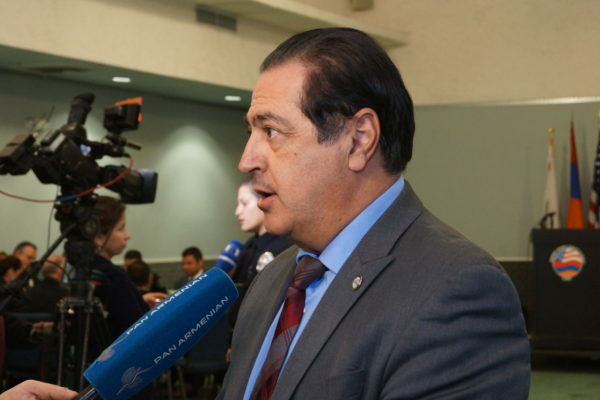 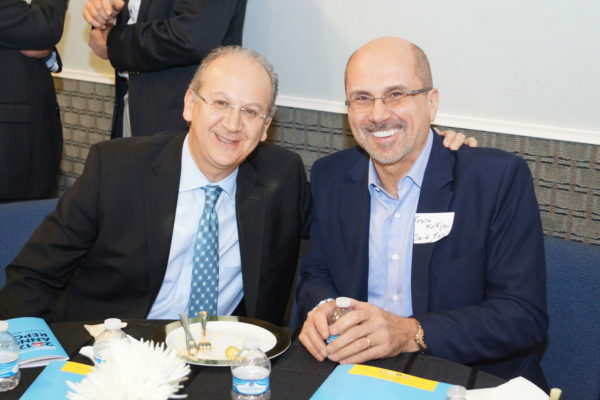 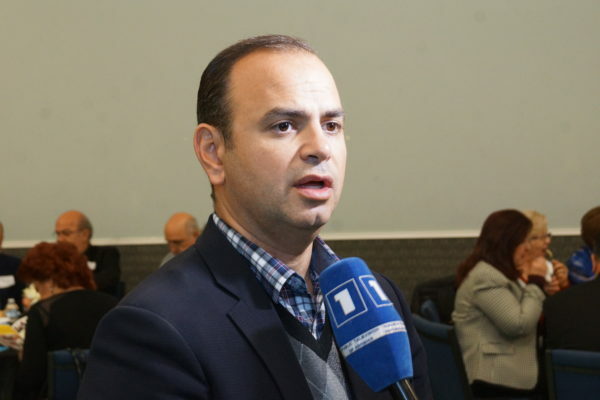 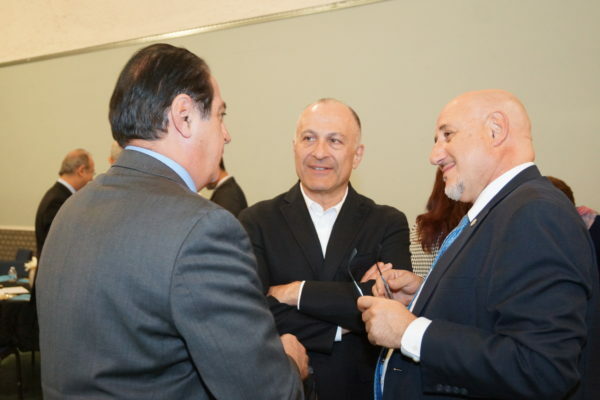 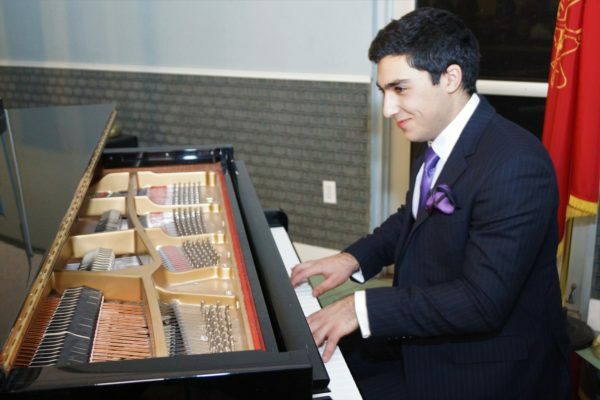 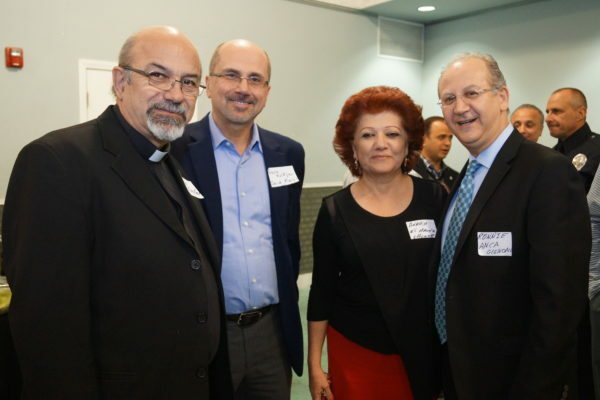 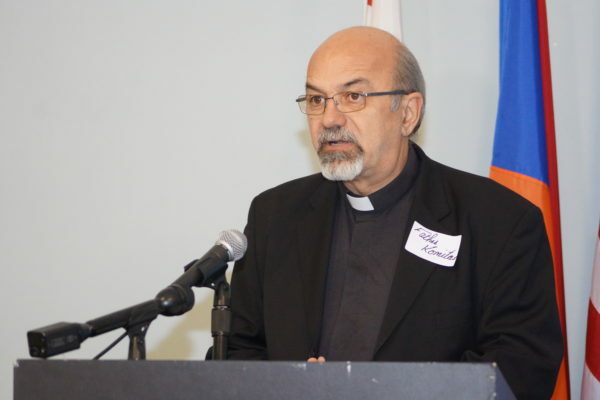 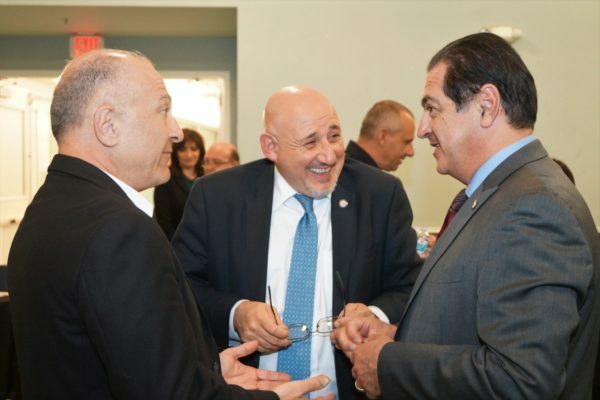 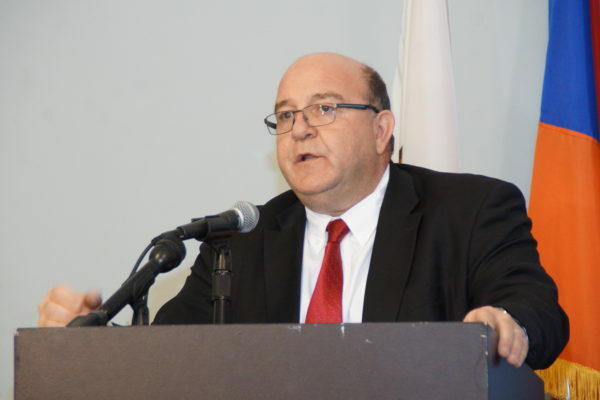 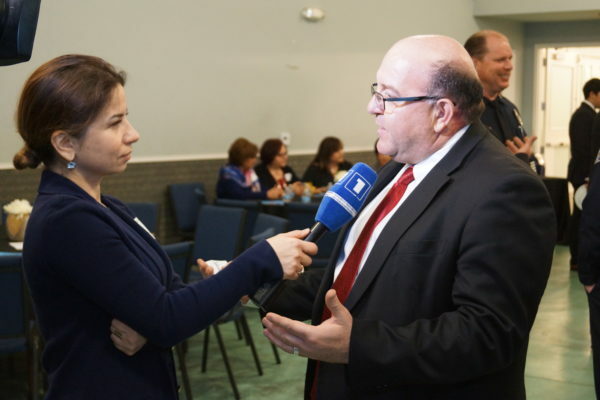 The ANCA Glendale Chapter advocates for the social, economic, cultural, and political rights of the city’s Armenian American community and promotes increased civic participation at the grassroots and public policy levels. 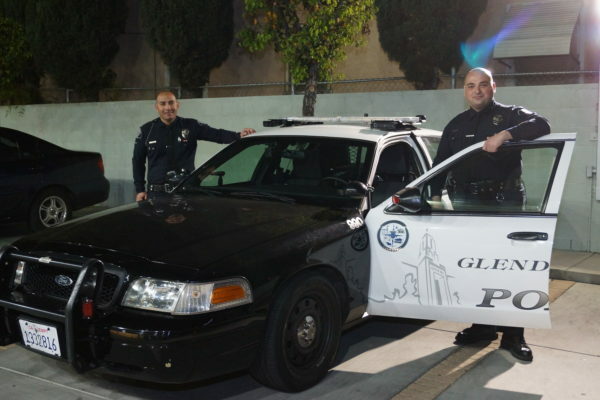 Log on to www.ancaglendale.org for more information.